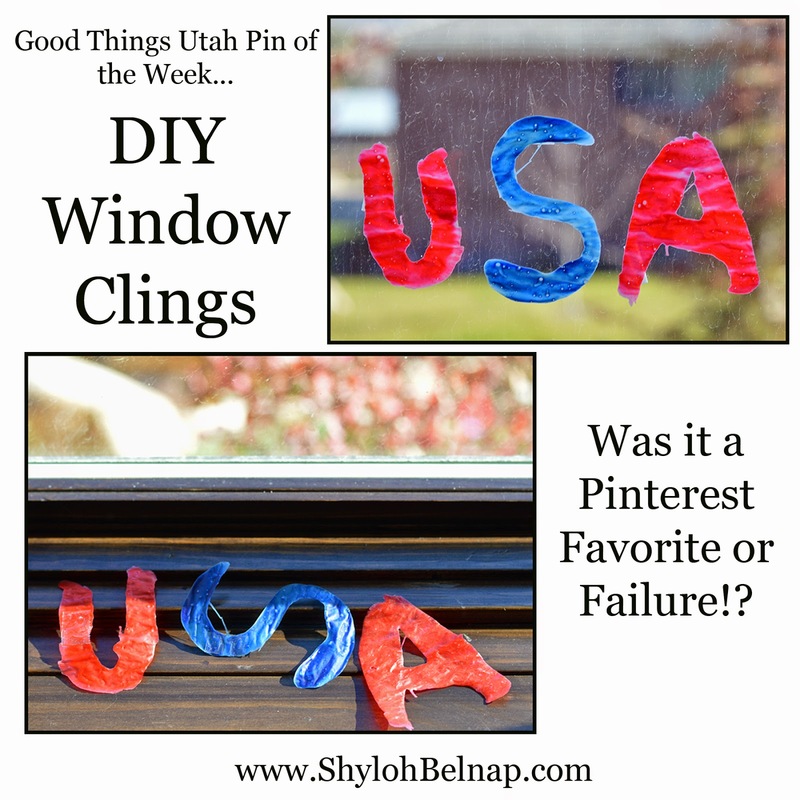 I was intrigued by this pin because I think it would be fun for kids to make these window clings. 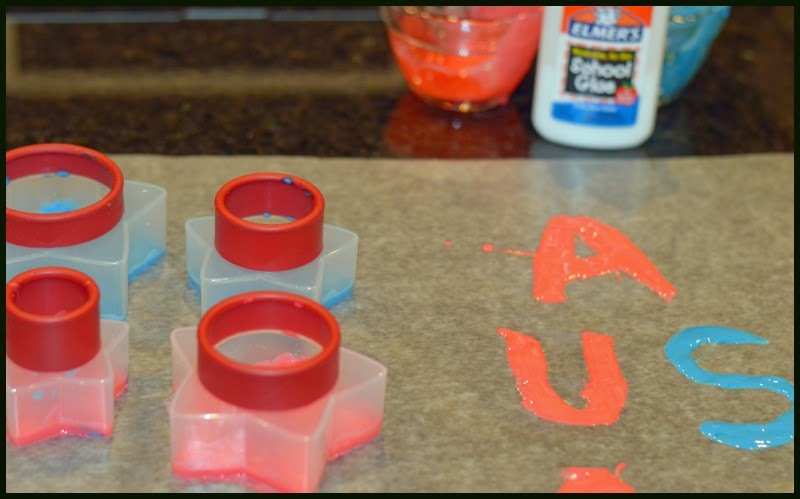 They would be fun to decorate with, but I also thought it would be fun for kids to make their own to play with in the car! 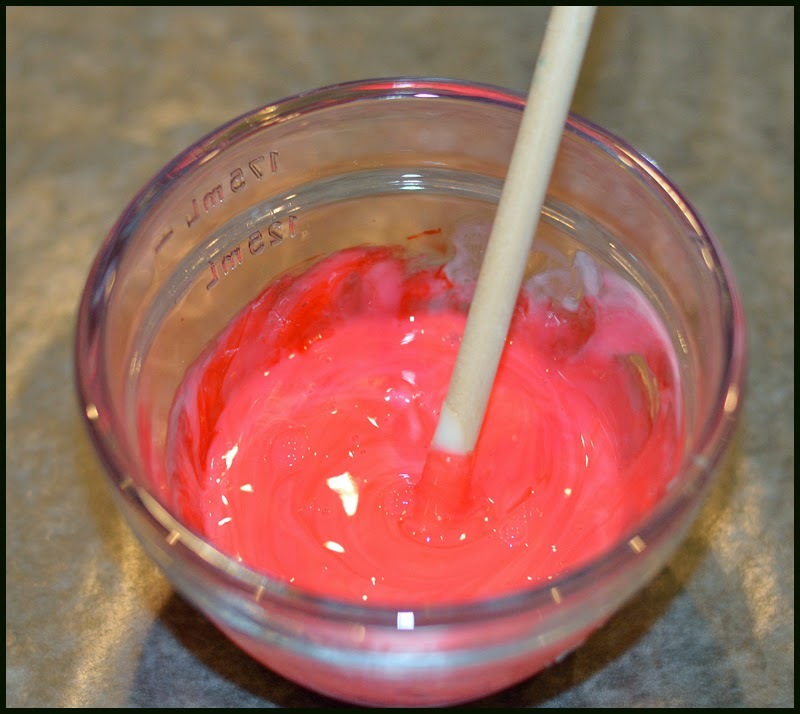 Mix all the glue, dish soap and food coloring together. (but not too thick) of a layer. You can also paint on a thick layer as well. 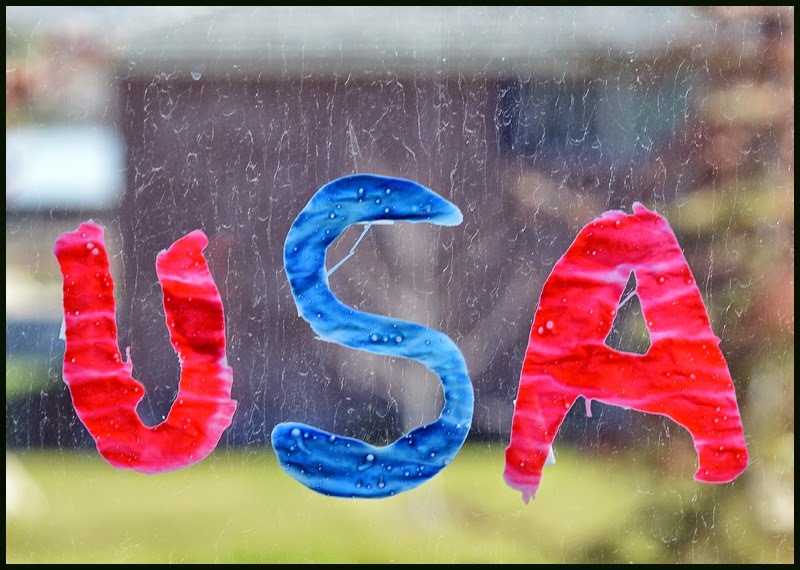 I did the words USA since it is Veterans Day. 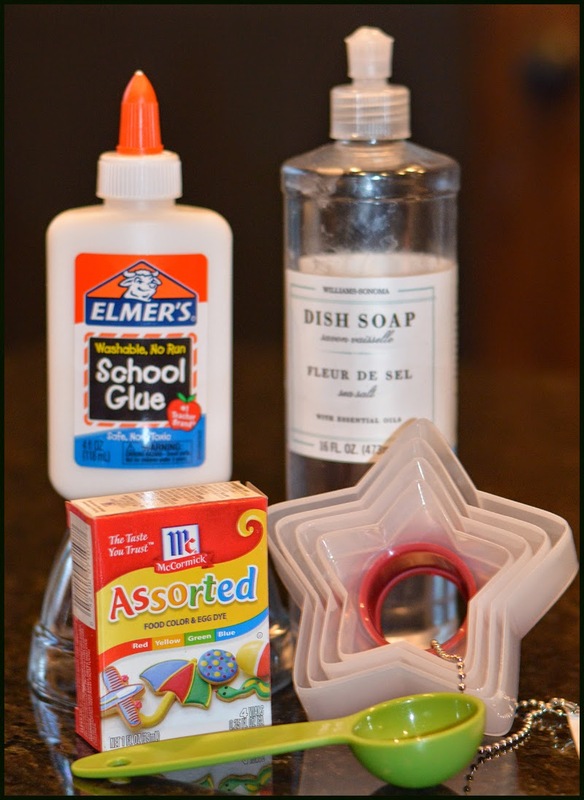 Peel off the Wax paper and stick on your favorite glass surfaces! Uh, yeah... picture 2 would be the winner. I am not sure how the original pinner was able to get these to stick to a window but these are not sticky AT ALL! I am not saying she didn't get this to work somehow but I definitely didn't get them to work and was not even close to it! The first picture... They are hanging with Scotch Tape and even then I had a hard time getting them to stick to the window with TAPE on them! 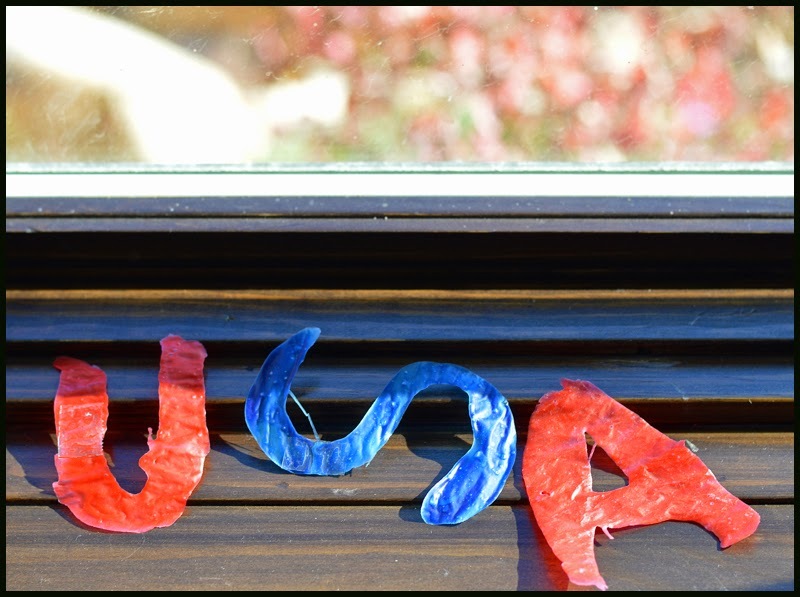 Luckily, since they didn't stick to the window, I don't have to also mention (even though I am) that I also think these are pretty silly looking, I think I would have bought window clings at all a dollar as a better option in the future! How fun! I do remember you Kristen! I hope you are doing really well too! Thanks for visiting, this was a really silly pin. Total fail, hahaha!